I pride myself on being the best white hat link building company in Leeds (if not the country), I have worked extremely hard over the past 8 years to build processes and systems to give you the very best service for your money. With these processes I am able to deliver a service that rivals even the best agencies in the country. Outperforming the majority of them. With that in mind, I thought I would write down exactly how I do things with the aim that my transparency will show you exactly how I do things and overcome any objections you have to becoming one of my selected clients. I am still only a small business so there are a limited number of people that I can work with at a time, I tend to top out at 5-7 clients, and I currently have space for 2 more, so read this page and then get in touch to see if we are a good fit. The first step of any and all campaigns is to create a gmail account that uses the persona of the business owner, I then use this email to contact the link targets that I find. The benefits of this are that it is much easier to get links when people think you are the business owner than if you are some guy who they hired to build links. So yes, I will be pretending to be you in order to contact these people. This is an essential step, I will have you give me access to your Google Analytics account so that I can get an insight into your website, it’s content and what visitors do when they come to the site. Similar to Google analytics, I will need access to your Google Search Console account, this will allow me to discover which keywords your website is showing up for already, how effective that result is at driving traffic and any quick wins that may be around. 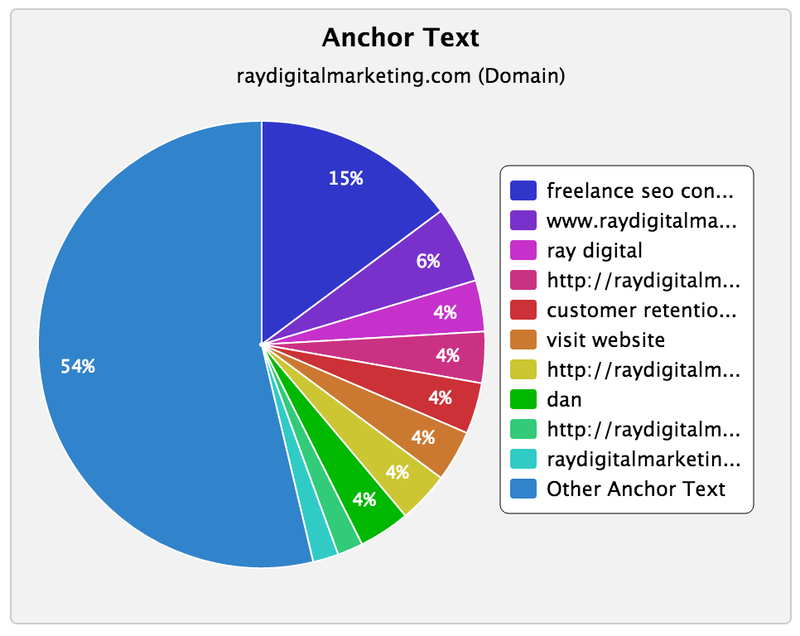 I will use tools such as SEM Rush, Moz Pro and Majestic SEO to analyse your incoming links and the ratio of their anchor text. It looks very unnatural if all of the links to your site are coming in using anchors that you want to rank for, if require I will build some “easy” links to dilute this with some standard and natural looking anchors such as “here”, your company name, your URL and other such natural things people would use as anchors if they were linking to your site without being “nudged”. Are you actively creating content? Do you have a content creator? How many social shares does each piece of content get? Are you willing to invest in content creation? I then make a list all good content URL’s so that I have easy access to them when I am approaching link targets. If there is no good content that I can use, don’t worry this happens a lot. Between us we simply need to come up with a plan to create content that will be interesting to my list of targets. If you have a person in house who can create stuff then great, if not I will happily use one of my content people, this will be an additional expense but is my preferred option as I know that these people can give me the type of content that I want. In an ideal world you will give me a content budget, for both on site content, and to be placed on targets sites. I make a list of all of the information I have gathered from the few steps above (I keep this list in a reporting document that is updated in real time, and can be accessed by you any time you want to). This keeps track of all of the content that I will be using, the keywords that it is currently ranking for and any that I think it should be or can rank for. I then use the keywords generated in the step above to create an enormous list of Google Operators, these are powerful words and characters that can be appended to search terms in Google that help to filter out specific results. These operators can allow me to find any number of very specific types of websites that will be perfect for the types of links I am targeting. This would return any pages about lego that have the word “resources” in the URL. This is likely to be a list of resources about lego, so if I have spent some time to create one such resource, then all of the pages returned for this would be ideal like targets for me. Based on the type of site that you have and the things I have uncovered in the previous steps, I will select a few types of links that would be most suited to your site, these won’t be used exclusively but will be the basis for the campaign. Good examples of this are in industries that aren’t so “interesting”, or if you don’t have a lot of content on your site. In these situations I know that the best types of links to create will be content placements on other sites, local bloggers, or my “bridge method” (which finds related industries to yours that aren’t in competition with you, think web designers sites for an SEO). All of the types listed above do not require content on your site, but content to be created to be placed on other people’s sites, this content will contain a link to your site. At this point everything is in place, I have all of the information that I need to run your campaign, it’s time to create a roadmap of how the next few months will go. In your reporting document I create a project management tab that will show you exactly what will be done over the next 3 steps, this is very detailed and items will be updated in real time as “assigned”, “working” or “completed”. This keeps you constantly updated on what I have been doing for you and will be doing in the next few months. I use these 4 things to create a list of targets, I call this prospecting. 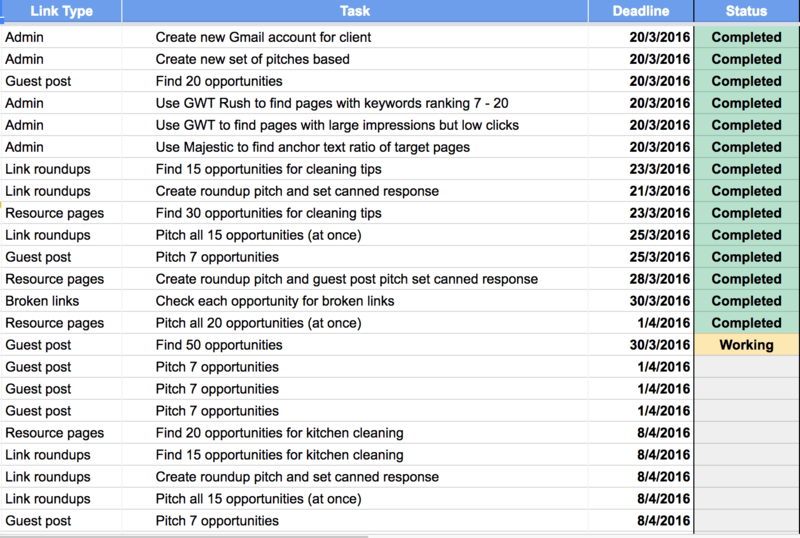 This is a constantly ongoing process, so if you ever look into your reporting sheet, you will see all of the targets and their status, this will change for you on a daily basis as I update it in real time. I try as hard as possible to get a personal contact email as well as the name of the person that i am contacting, this makes outreach much more effective. For each of the targets I have found I will then send a personal email, using their name if possible and the most appropriate type of email based on the type of link I will be asking for. The approach for a content placement, is very different to the approach for a resource link for example. These types of interactions often result in a relationship being built with the target, meaning that I have something that can be mutually beneficial and utilised in the future. As well as a link, it is common practice for a target to share your site socially, which is an added bonus. Probably one of the most important parts of the process, mostly overlooked by other people. People get hundreds of emails every day, you probably do too and it’s extremely easy to ignore them, for this reason, I send a follow up email (or 3) to all the targets who don’t get back to me. I also track email opens, so that I know who has opened an email and not replied, and who just hasn’t seen it yet, these people receive completely different follow up messages. The benefits of the methodology that I have created are primarily based around 2 performance indicators. People click on the links that I have earned for you, these people click on the link because they are interested in what it is that I have presented to them, this usually results in extremely targeted traffic that converts exceptionally well into customers/clients or buyers for your products or services. The second benefit is that all of these links will be on relevant and authoritative sites, this is essentially the “food” of search engines, we are giving them exactly what they want and they then reward your site with higher organic rankings which results in traffic for you. The type of traffic that buys too, these people are actively searching for what you offer,then choosing to click on your result. So long as your website does it’s job and pushed these people towards your conversion goals, then it is the VERY BEST kind of traffic. This is completely dependent on the type of content we have, what your site is selling, and the reaction and attitudes of the targets being approached. But I tend to get between 10-20 links per month. The more willing that you are to create content for me to use, specific content that I choose and create it quickly, the higher this number will be. Project Tracker – this is a live spreadsheet containing various tabs, that will show you the project plan, all targets, the status of outreach, opportunities, the content I am using for outreach, the passwords of any accounts I have set up for the campaign, live links, and plenty of other useful information. This can be accessed by you at any time (you will have a link to the Google sheet) to check up on the work, it is updated in real time by me so is always completely up to date at all times. So how much do I charge? 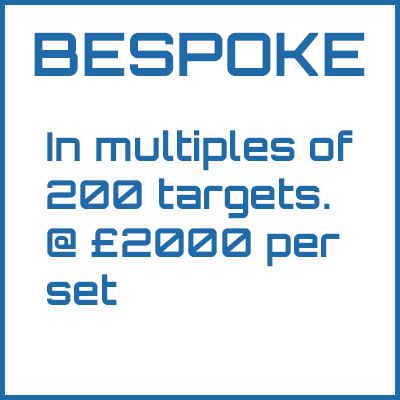 2 very simple options, I sell in blocks of 200 targets, priced at £2000 per block. If I do not achieve a minimum of 10 links I will continue to do outreach until you get at least 10. THIS HAS NEVER HAPPENED BEFORE! Clients have experienced returns of up to 60 links from 200 targets. I do however feel the need to stress that this is a monthly service, I am not interested in one-off clients. Most of you can stop reading here, this is the bulk of my work, below is a list of the 20 types of links I use in my white hat link building company and a little bit of info about what they are. I primarily use 20 different link types, although it is very rare that I use more than 5 or 6 for any individual campaign. These are a highly underutilised type of link, people all over the internet are aggregating content, by sharing posts that they think their audience will be interested in, these people are literally asking for you to show them something worth sharing. Think in terms of “this months best Lego posts”, and your site having a great post about lego, this person would be more than happy to share it. The bread and butter of any link builder, the resource page. These ones will cost you some money, but a lot of sites accept money in exchange for writing about your service or product, they will often ask for something to review in addition to some money, although sometimes it will be just money, or just a sample. A 2 stage type of link, I look for either places that have linked to you in the past and removed the link, politely reminding them that you are still around and would appreciate the link to be made active again. This is similar to the location based method above (hence the sharing of the name “bridge”). Now this is a long term method, people have been using some form of online PR in spammy ways for years now, however what I am talking about here is real PR. Do we have anything that is worthy of the attention of local journalists, buzzfeed, The huffington post, if so it is completely possible to track down these journalists and get them to add your link to either a past article or an upcoming one. Alternatively when i am not paying, local newspapers love local businesses when they help the community, so have you recently helped out a charity, won your local sports league, have an interesting history? With that in mind they would be more than happy to link to you if you can give them a valid reason and this is an extremely relevant link simply by being local to you. If you don’t have a compelling reason, money often talks, they are often more than happy to take a few pounds to add your link to 2 year old blog post that they had forgotten about. If there are any directories specific to your type of business then you SHOULD be listed on them as well as some of the most popular ones that are well know for various different industries. For example, if you disagree with what is being said and have a blog post as a retort, then link to it in a comment, along with a well written and thoughtful response. One of the most trusted sites in the world, yet entirely user generated, anybody can add anything to absolutely any page. Including links to your site. These links need to be extremely relevant and useful or they are quickly removed. It can sometimes be useful to see what links your competition have and to try to recreate them, although I prefer to get the links that they don’t have rather than the ones they do. This is a method that has been around for a long long time, but has recently come back into prominence thanks to Brian Dean. It is a method where you find a piece of content that is being linked to a lot, and then create something better or more up to date, approaching all of the people who link to the original piece and asking them to link to you “better” content aswell.